Black Tolex cover, imitation leather accents with creme piping, plush interior. Locking latch under the handle. 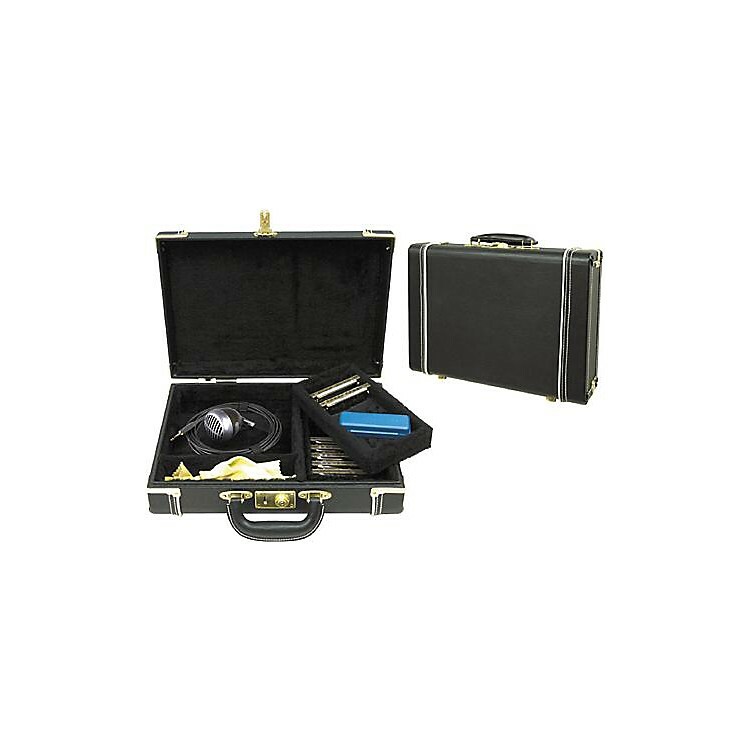 Holds 20 diatonic and 2 chromatic harmonicas. Removable tray, plenty of room for cables, microphone, and accessories. Call now to get your harp collection organized.